The West Highland Hotel is situated in an elevated position in Mallaig, at the end of The Road to The Isles. The West Highland Hotel is situated in a prominent, elevated position in Mallaig, at the end of The Road to The Isles, being only a short walk away from the railway station and the ferry port with regular sailings to the Isle of Skye and The Small Isles. The hotel retains the traditional charm of an age gone but with comfortable modern en-suite rooms. 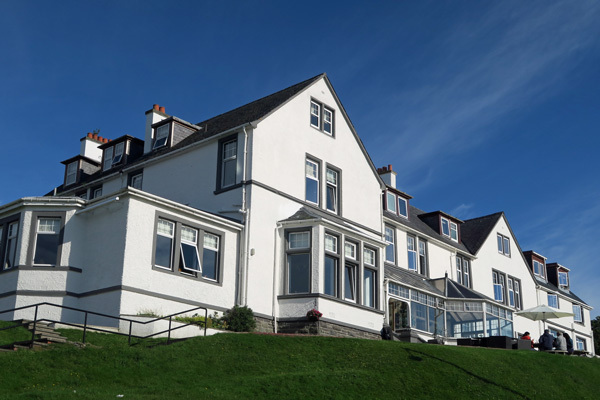 The West Highland Hotel offers a choice of dining experiences including the stylish Island View Restauarant, The Longe, The West Bar and Conservatory with panoramic views out to the Islands.